A native of Lafayette and 1960 graduate of Lafayette High School Dr. Ingram attended the United States Air Force Academy, graduating in 1964. Already a licensed pilot since high school, his intention to become a military pilot was sidetracked by unexpected vision problems. The Air Force allowed him to pursue a medical career and he graduated from LSU Medical School in New Orleans in 1969. Dr. Ingram completed a rotating internship at St. Joseph Hospital in Denver and then a general surgery residency at LSU/Charity Hospital in New Orleans, finishing in 1974. Major Ingram again donned a uniform and served four years as a general surgeon in the Air Force. He left the service as a Lt. Col. in 1978. (He later rejoined the AF Reserve and retired as a full Colonel.) 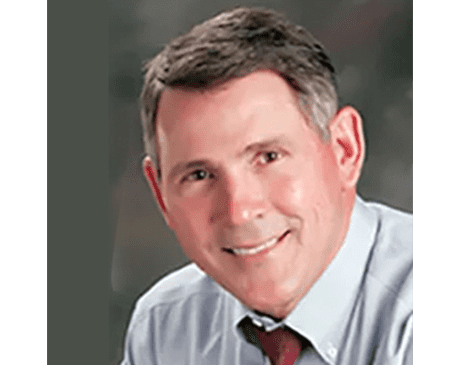 From 1978-79 Dr. Ingram completed a fellowship in vascular surgery at the University of South Alabama in Mobile and subsequently became board certified in vascular surgery. In July 1979 Dr. Ingram started his vascular surgery practice in Lafayette and continued until his retirement in April 2015. New advances in the treatment of venous disease developed in Europe prompted him to study them and be among the first in this country to offer these services. In 1992 Dr. Ingram opened the first dedicated vein clinic in this state. During that year he became the first in Louisiana to offer the Ambulatory Phlebectomy procedure for varicose veins using the sutureless European microincision technique. In a major contribution to the field of Phlebology Dr. Ingram introduced the concept of Transillumination for the treatment of varicose veins at an international medical meeting in Ft. Lauderdale in 1995. Prior to that presentation the “vein light” had only been used to start IV’s. In 2001, Dr. Ingram was the first in Louisiana to perform the Endovenous Ablation procedure for varicose veins with both the RF Closure device and the Laser. In 2008 Dr. Ingram was among the first group to take the examination and become certified by the newly-established American Board of Phlebology. Many physicians from around the country have visited the Vein Center to learn various techniques from Dr. Ingram including specialists in the fields of plastic surgery, heart surgery, vascular surgery, dermatology, general surgery, anesthesiology and OB-Gyn. In 2001, Dr. Ingram made the career decision to cease doing major arterial surgery and devote his entire practice to the treatment of venous disease. This he continued until his retirement whereupon he asked Dr. Christopher LaGraize to assume the care of his patients and maintain his medical records.